I scream, you scream, we all scream for Rita's.. no, it's not ice cream.. This is Rita's Frozen Custard Sundae. 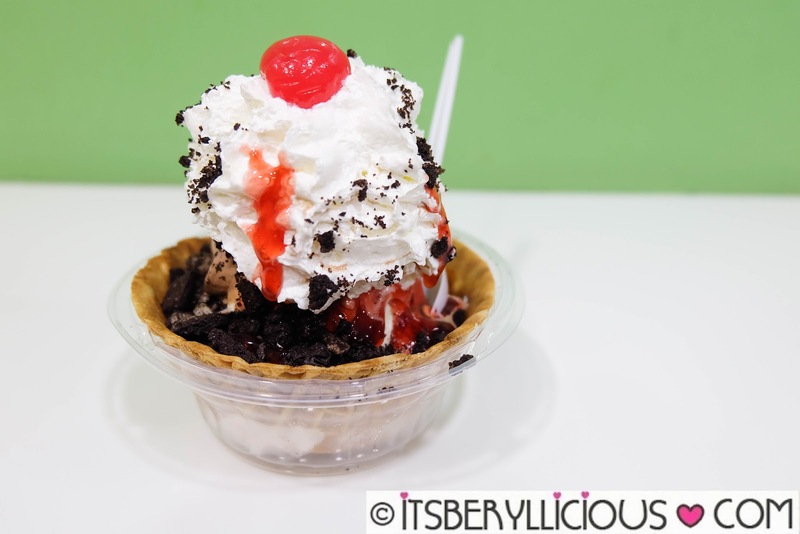 A waffle bowl of their signature old fashioned chocolate and vanilla frozen custard topped with crushed oreos (or any two toppings of your choice), whipped cream, and cherry. This cup promise you the richest, smoothest, and creamiest treat you've ever tasted. To get the best of both worlds from Rita's, most people go for their #1 best-selling treat, the Gelati- a layering of Rita's premium Italian Ice, topped with their classic frozen custard. 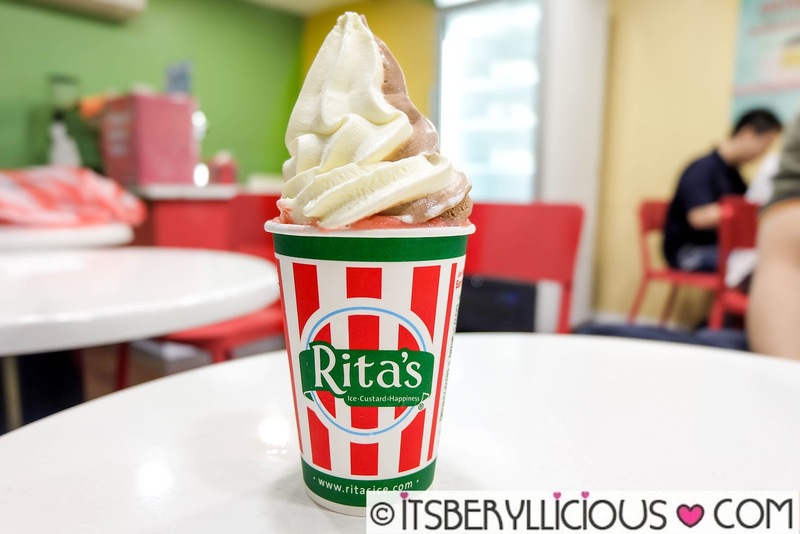 Rita's Italian Ice is made fresh daily with real fruits to give that naturally sweet and refreshing taste. Below is their limited edition Halloween flavor Pumpkin Cheesecake. Amazing how Rita's comes up with these unique and interesting flavors that actually work. These seasonal flavors give loyal customers something to look forward to on every visit. This is Rita's Blendini- a cup of frozen custard and Italian ice blended with your choice of toppings. 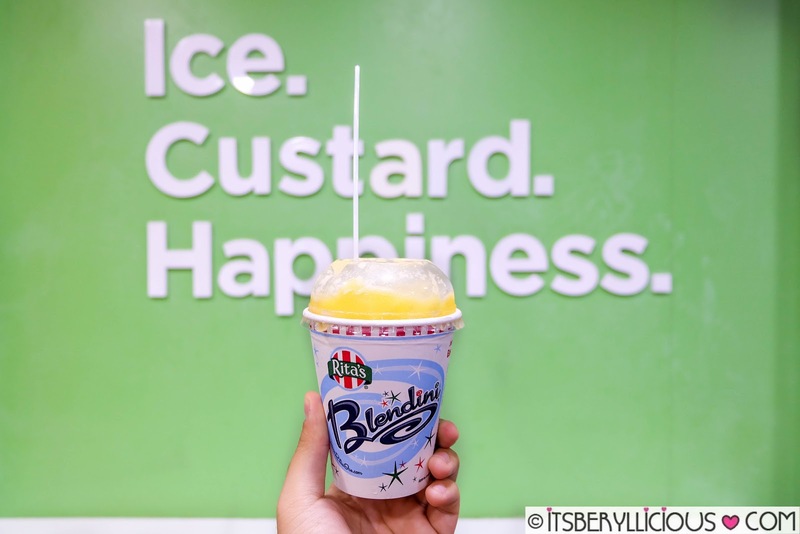 While mixed with frozen custard, I still found this Mango Blendini refreshing and clean. It's a great choice during hot weather days, or a nice palate cleanser after a savory and filling meal. Rita's also offers premium frozen custard cakes for birthdays, parties, and special occasions. This is definitely the perfect gift for your sweets-loving friends and families. 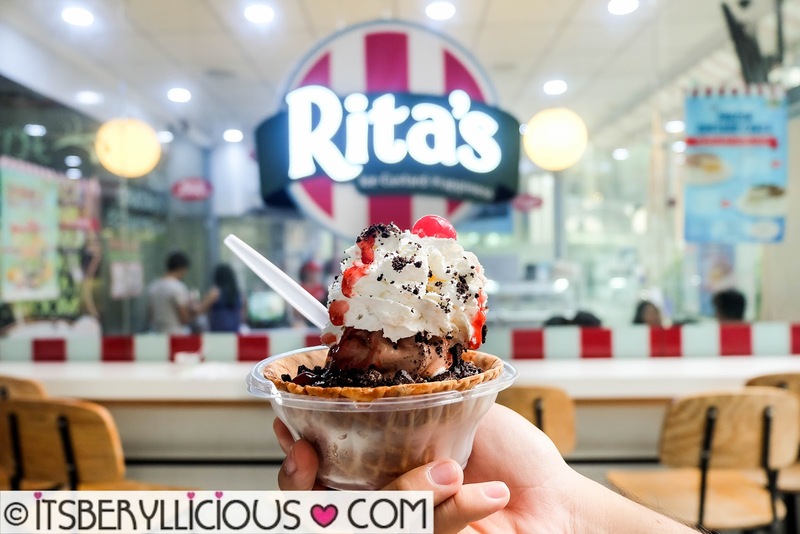 Visit Rita's Italian Ice Facebook Page for the latest promos and new offerings from Rita's.